Changing Vista password is really a good habit in terms of system security. You should change your password at least every 30 to 60 days and not re-use a password for at least a year. In this article, I would like to show you how to change Windows Vista Password in any cases. Part I: How to change Vista Password under Windows? Click “Start”->”Control Panel”->”User Accounts and Family Safety”->”User Accounts”. In the area “Make changes to your user account” of the “User Accounts” Window, click “Change your password”. In the first text box, enter your current password; in the next two text boxes, enter your new password. Click “change password” to confirm your changes. Part II: Can’t access to Windows? How to change Vista password? If you need to change your Vista password because you lost it and can’t log in to Windows, then you obviously can’t use the way above. However, you can use a Vista password changer program to change the password even if you can’t access to Windows Vista at all. 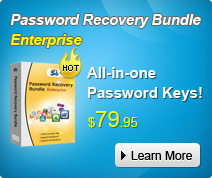 Look at the following steps to see how to change Windows Vista password with this effective software. One: Burn password reset disk on the computer that can access to Windows. Step 1: Insert a blank CD on this PC, and launch Windows Vista Password Cracker. Step 3: Click “burn” to start burning Vista password reset disk. Two: Reset the password on the computer which you forgot the password for. Step 1: Boot the computer with this disk. And then choose the system you would like to reset password. Step 2: According to the wizard to reset the password. The last step you need to do is to reboot your PC to finish changing Windows Vista password.